We are excited to shine the spotlight on EncompassCare! 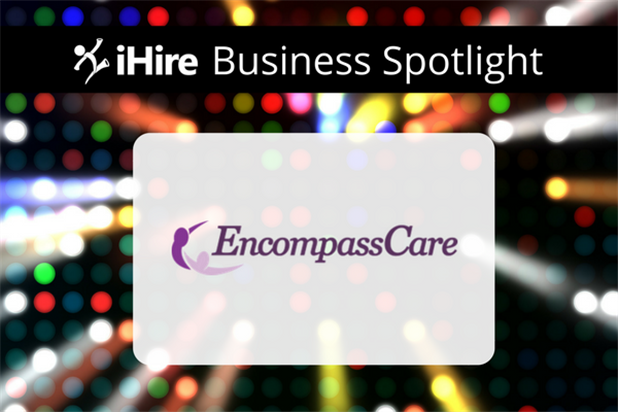 We chatted with Kendra Nickel, HR Manager, to learn more about what makes EncompassCare a great company to work for and get the scoop on how she tackles today’s hiring challenges. Question: What makes EncompassCare’s company culture unique? What makes EncompassCare a special place to work? KN: I repeatedly hear from our employees that they value that our team is like a small, close-knit family. Our CEO and VP regularly visit our locations, talk to staff, listen to feedback, and make decisions with a genuine concern for how the outcomes will affect employees. Team members know they aren’t just another cog in the wheel – our leaders know each of them by name. Our therapists say this familial culture is very different from what they’ve experienced in other settings. Question: What are the responsibilities of an HR Manager at EncompassCare? KN: I manage all-things HR from recruiting, interviewing, onboarding, and benefits administration to employee relations and everything in between. KN: There’s a shortage of evaluating therapists (physical, occupational, and speech) going through school and entering the workforce, though there’s potential for that to change. Currently, achieving a therapy assistant license only requires two years of school, making it an attractive career path for those who don’t have the time or resources to obtain a master’s or doctoral degree. Additionally, there have been discussions about removing master’s-level therapy programs altogether by 2021, potentially tightening the market even further. Question: How has iHire helped you address your hiring challenges thus far? KN: iHire’s industry focus helps us reach niche candidates we’d otherwise be unable to find. General job boards attract candidates from all industries and experience levels, including those who don’t understand the specific credentials that are required for EncompassCare’s open positions. For instance, candidates see the word “assistant” in a “physical therapy assistant” posting and think, “Oh, that would be a fun job!” and apply despite being highly unqualified. Because iHireTherapy was built just for therapy professionals, the quality of applicant is much higher. KN: Understand the specifics of what you’re looking for in a candidate, whether it’s their credentials, skills, experience, or personal traits that would make them a good culture fit with your team. Mapping those requirements out before you start to hire as well as knowing where to look for the right candidates will make a big difference. Interested in employment opportunities with EncompassCare? Check out their open positions and apply today!